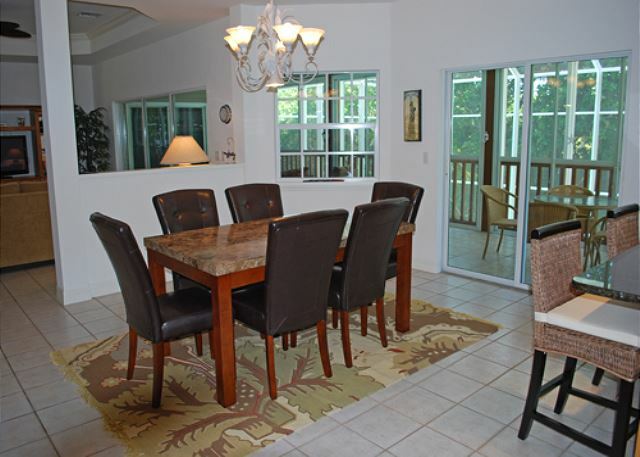 Blissful Bayou is a stilted home in Sanibel Bayous off Sanibel-Captiva Road that has the best of everything for your extended stay on the Island. The home offers two bedrooms, two and one-half baths plus a den that can accommodate up to six guests. 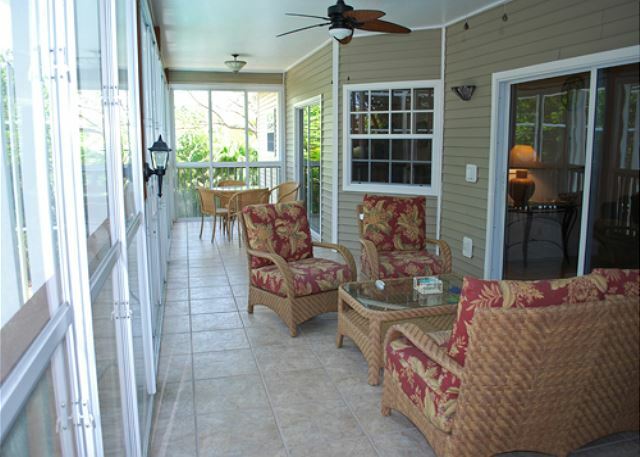 The main living area opens onto the spacious lanai and has a 55-inch flat screen TV, a Soundbar, Blu-ray player and stereo for your enjoyment. The gourmet kitchen has granite counters and stainless steel appliances that make preparing meals easy and convenient. The master suite features a king size bed, private access to the lanai, a flat screen 42-inch TV and large walk-in closet. The master bathroom has dual sinks, a large soaking tub and separate shower. The dual purpose den is set up with an office area and Murphy bed. The second bedroom has two twin beds. 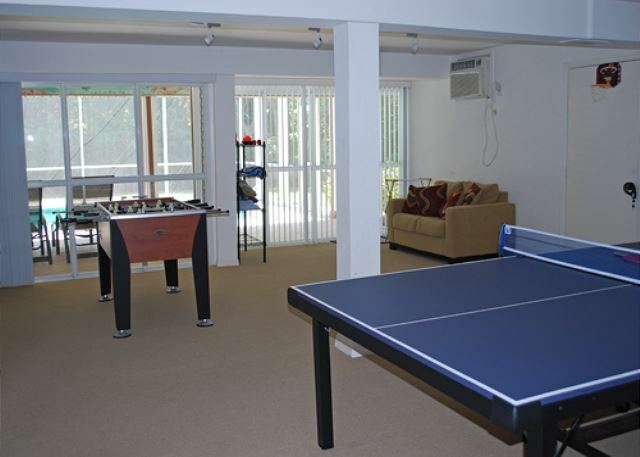 The downstairs area contains a game room with a ping pong table, foosball table, and home cross-training weights/equipment. The downstairs also opens out to the large sparkling pool, which is sure to provide hours of fun for you and your guests. Additional amenities include: two bicycles, beach equipment, pool toys, Wi-Fi, free long distance to US & Canada, washer/dryer and a gas grill. Dog-friendly home with non-refundable pet fee. This was my 5th stay in this house in the last 6 years. 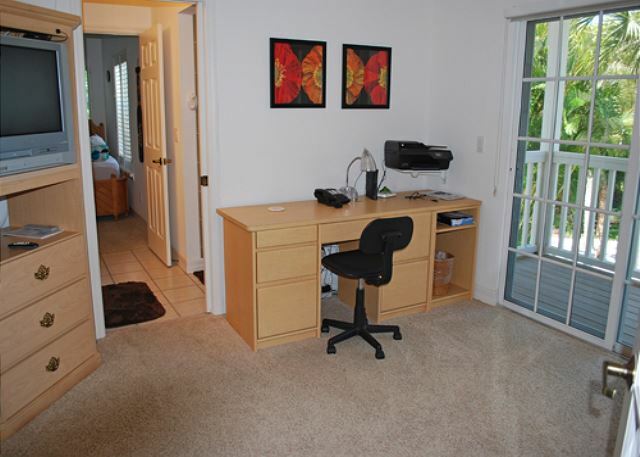 I have been coming to Sanibel for over 25 years, most of the time renting a house. 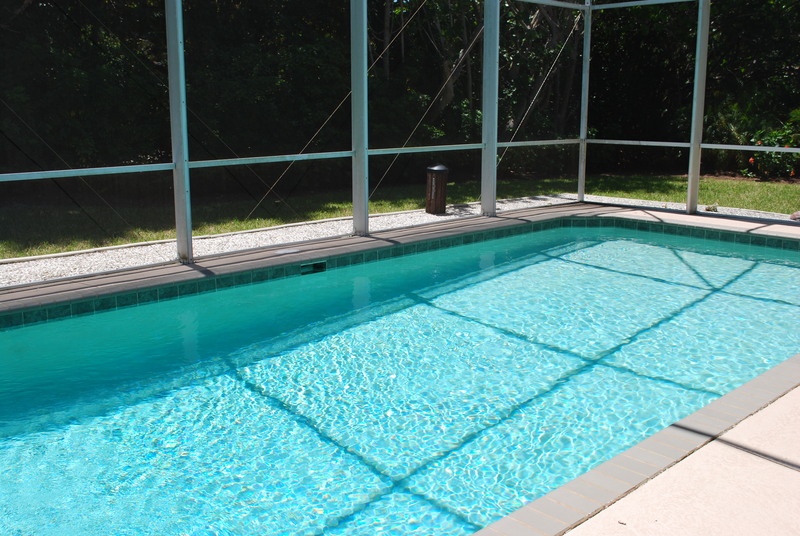 This house in Sanibel Bayous is in excellent condition, probably the best in which we have stayed. 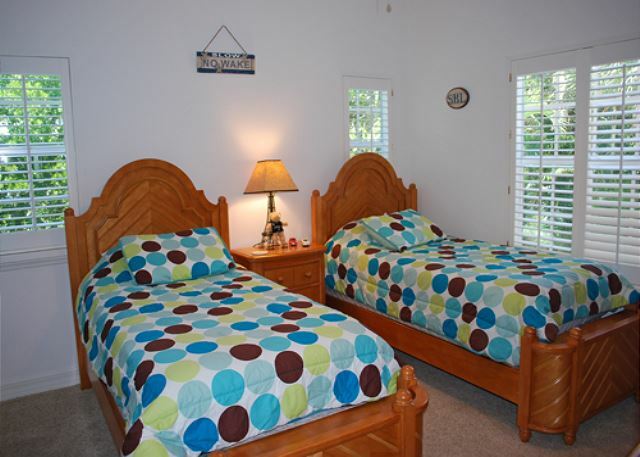 Sanibel Holiday has always been very responsive to any needs or problems and this year was no different. I have already book the house for another month in 2018.